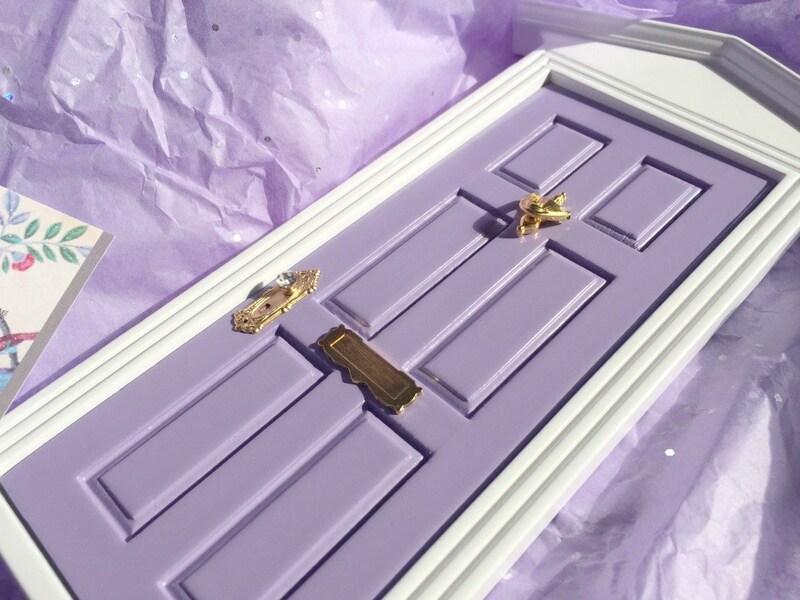 After spending ages deciding, I picked a gorgeous purple door as this is still currently Mia's favourite colour. I was so excited for it to arrive and when it did I couldn't believe how beautifully it was presented. 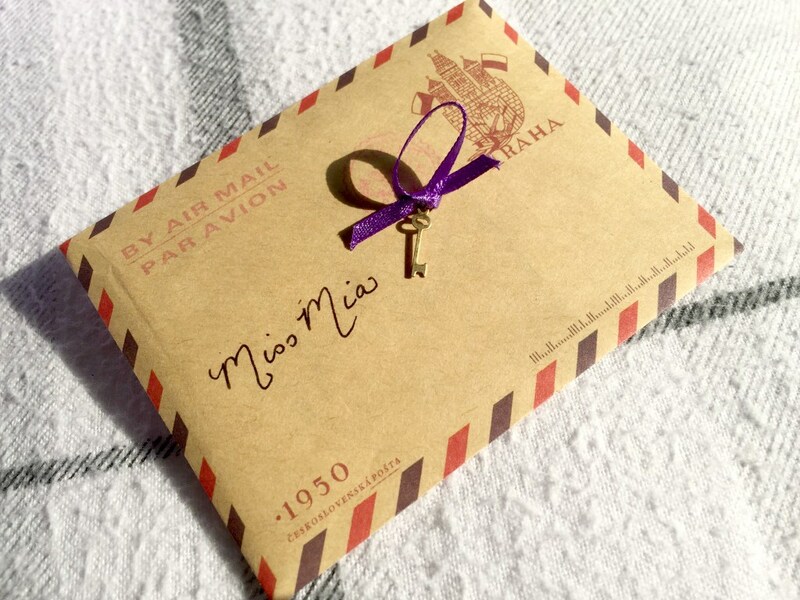 It came in a little white box with silver writing, inside the door was wrapped in pretty purple and white sparkly tissue paper. 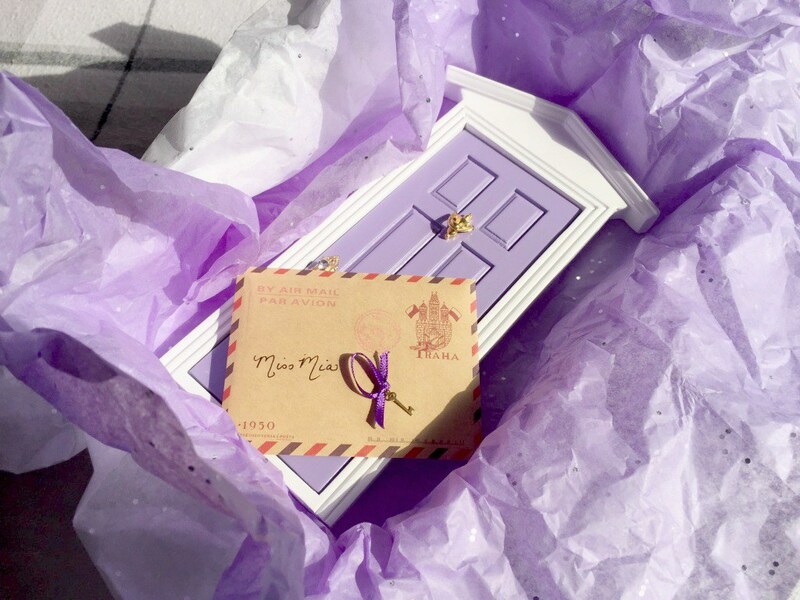 The door came with a very tiny fairy key, and a really personalised letter for Mia, even saying that the fairies were so happy that she has been going to playgroup like such a good girl. I was a little unsure of how to attach it to the wall as I know Mia can be a little bit of a monster sometimes. You can super glue them to the wall, but as we are still at my parents I didn't think that was the best idea, but I also knew that blue tack would not live up to Mia! 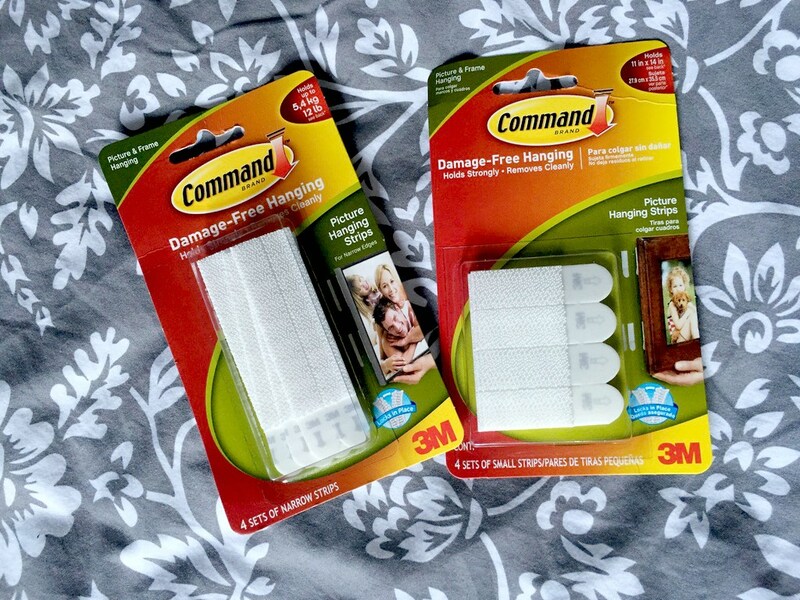 But I found the perfect solution,**TOP TIP** Command Brand, Damage Free Hanging. 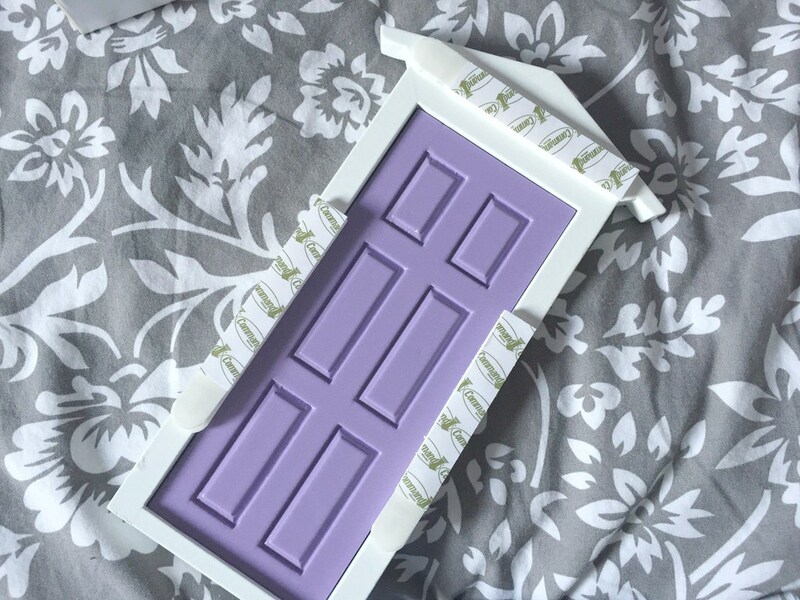 I use these everywhere already, for pictures, mirror you name it, but I found some thin strips of them and decided they were perfect for when we want to move the door, you can just remove it and remove the strips and they don't leave a single mark. It now stands 12.5cm tall and sits flush on the wall just above the skirting board. Mia is in love everyone that visits gets dragged upstairs to her bedroom to see the door! I can't wait to get really stuck in with all the fairy magic now. I am going to add something extra to the wall, I might hand paint some flowers and grass, I'm not sure yet but I will keep you all updated! 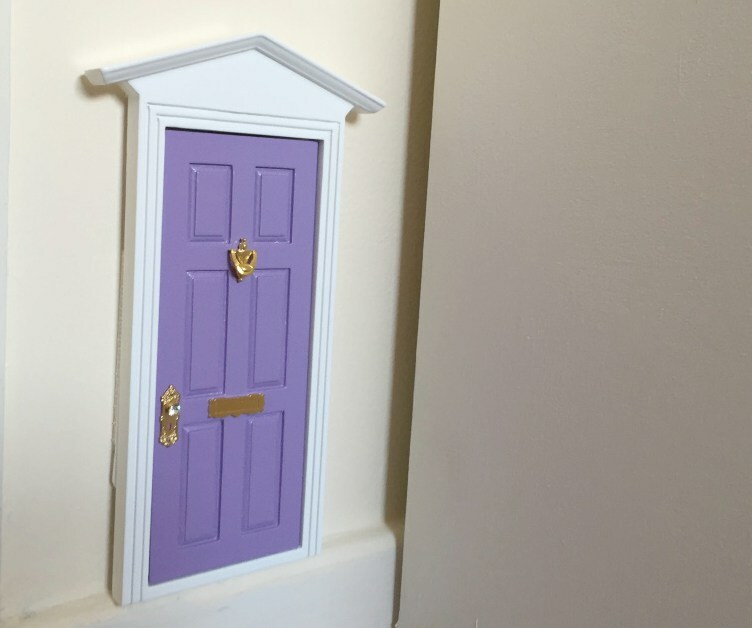 Caroline not only does fairy doors but also Elf doors as well for other little people to enjoy! Fairy's aren't just for the little girls! Is this something you would love to give your little ones? Enjoy seeing their little faces light up and enjoy the magic! 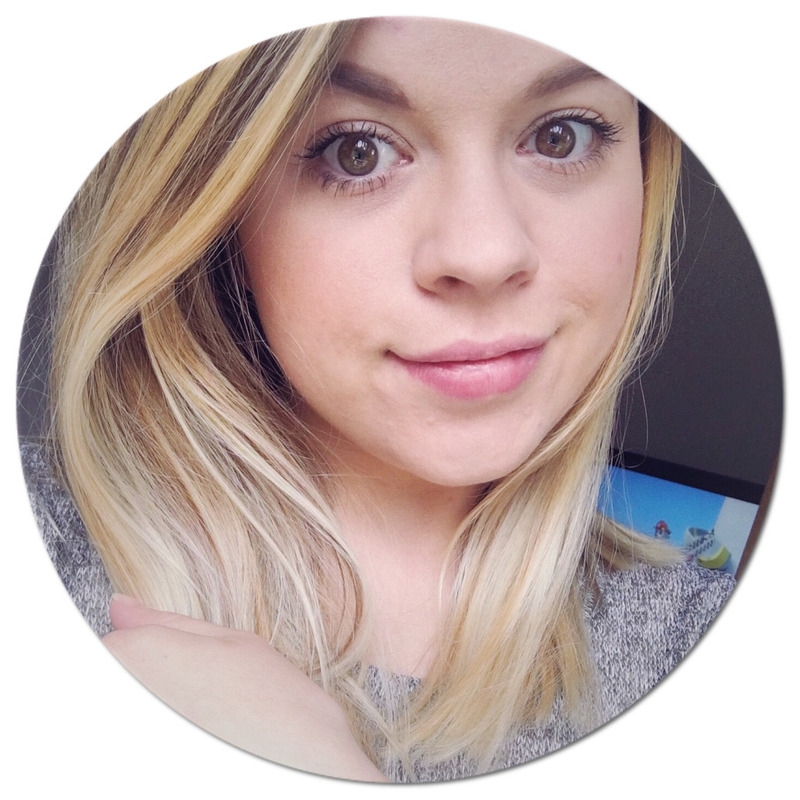 Caroline has been very kind to offer all of my readers 10% off any purchases over £30 when using promo code BEAUTIFUL in the promo box at the checkout. 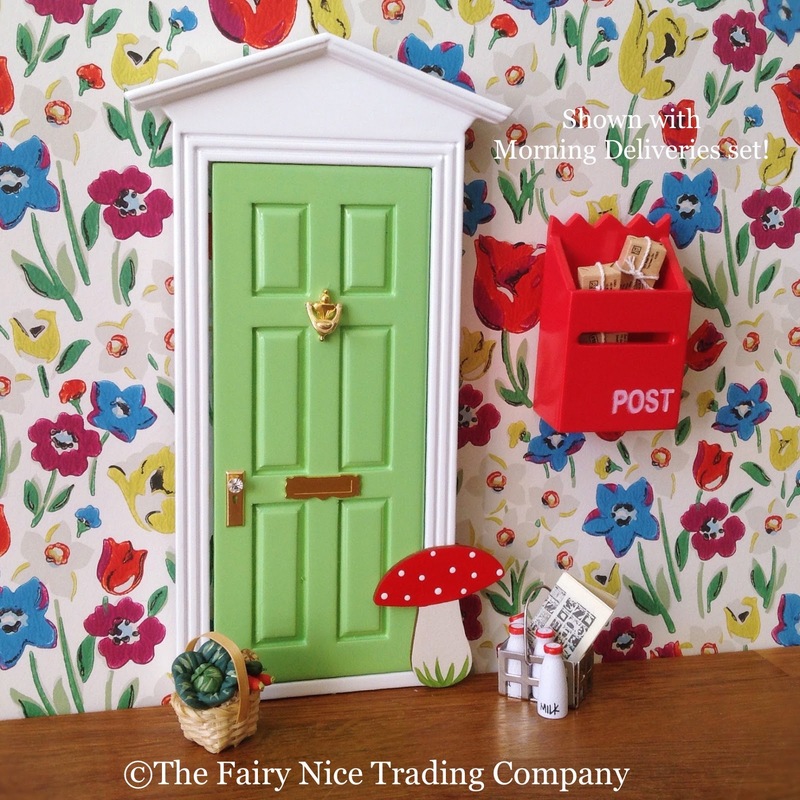 Pop over to her website and check out these gorgeous fairy doors, below are also the links to Fairy Nice Trading Companies other social media sites. 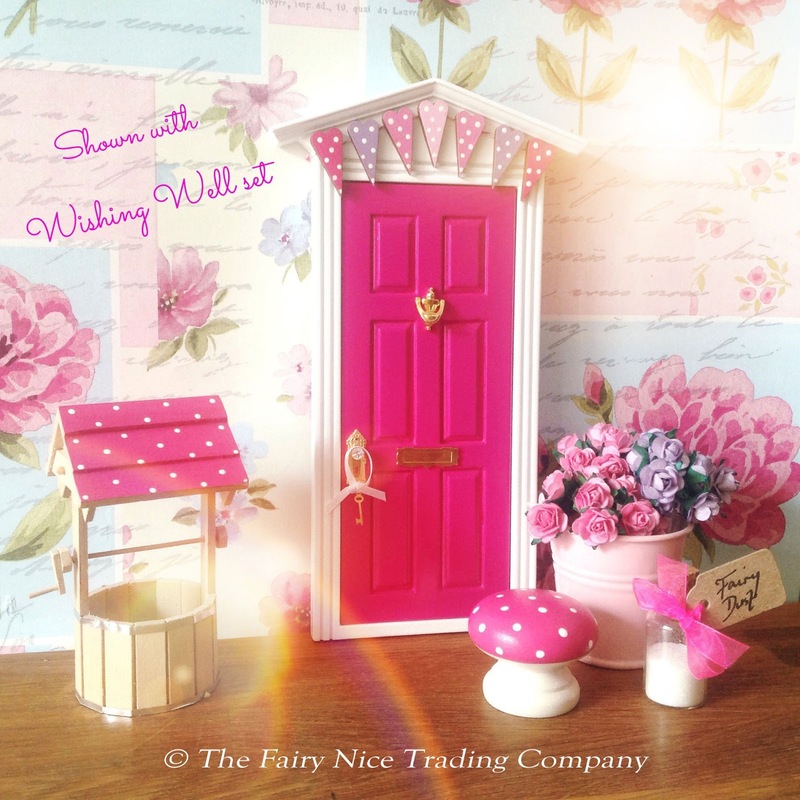 Its so lovely to see Mia's Fairy Door in action! And what a wonderful "top tip" about the fixers. 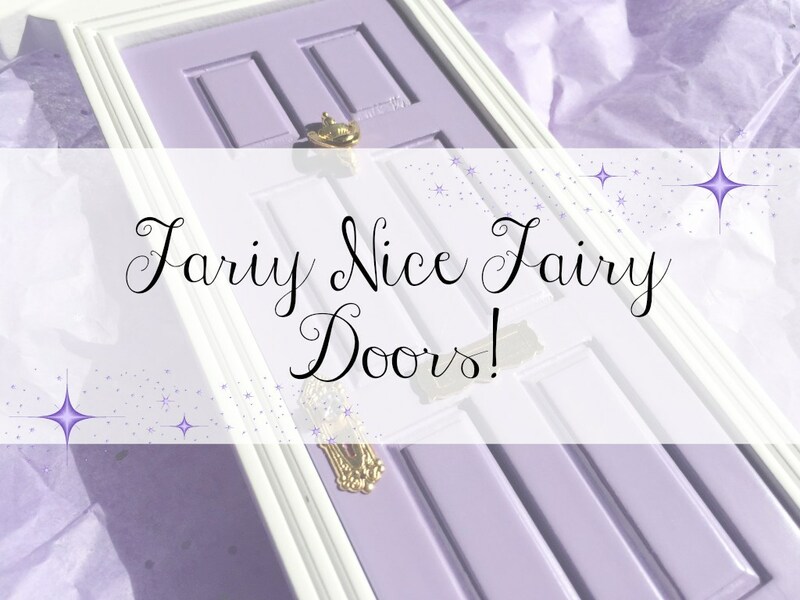 I can't wait to see how you decorate around your Fairy Door and hear of all the Fairy Fun Mia and her new friends have!